In honour of this date, the book exhibition "The Museum and the City" is being shown at the department of scientific literature. 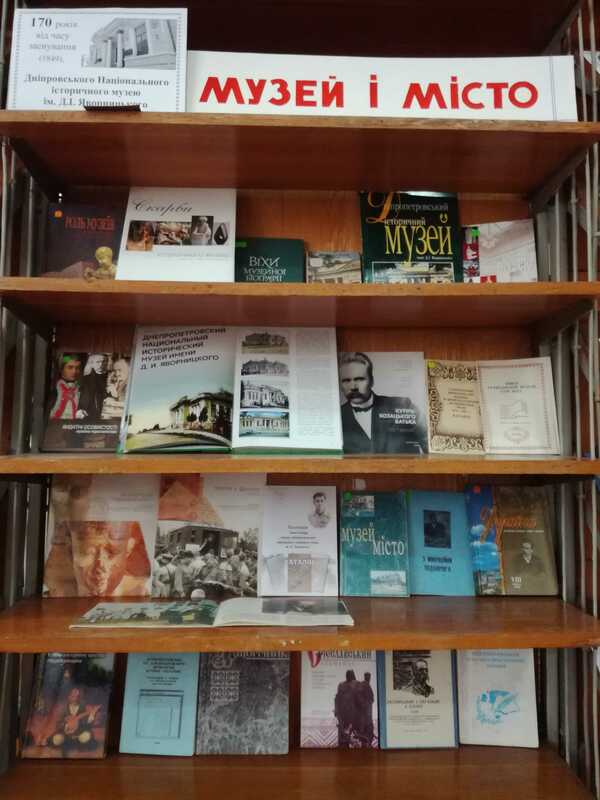 Users and guests of the library have an opportunity to read interesting publications about history of the museum and people standing near its origins, such as A.Ya. Fabr – the governor of Katerinoslav province, Ya.D. Grahov – a director of the gymnasium, O.M. Paul – a historian, maecenas and entrepreneur, and of course, the legendary director, academician Dmitry Ivanovich Yavornytsky, after whom the museum is named nowadays. Several editions presented at the exhibition have already become rare. This, for example, a collection of materials of the scientific conference held on May 17, 1994, which is devoted to D.Yavornytsky's 140th anniversary and includes articles written by the museum's staff, teachers and students of Dnipro National University and employees of National Security Service in Dnipro region. The catalogues of the museum also attract attention: "Books of Civil Printing of the 18th Century" (1989), "Old-Print Cyrillic Editions in Dnepropetrovsk Historical Museum of 1574-1800" (1988) and "Oles Gonchar's Collection in the Funds of Dnipropetrovsk National Museum named after D.I. Yavornytsky " (2018). Among them there is a documentary and artistic publication" Treasures of Dnipropetrovsk Historical Museum named after D.I. Yavornytsky ". It represents unique museum objects from more than 245000 museum collection, gives an idea of its history, its formation and its collections. As Dmytro Yavornytsky noted, "... such an institution as a public museum could play one of the most important educational roles, ennobling both the mind and the human heart." These words became prophetic. Today the Historical Museum is a museum complex consisting of an exposition on the history of the region, Diorama – the Battle for the Dnieper, the memorial house-museum of D. Yavornytsky, the Museum "Literary Pridneprovya" and E.P. 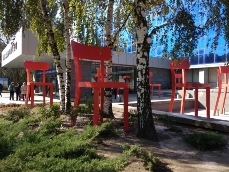 Blavatskaya Museum Center. We sincerely wish scientists and staff of the museum new creative projects, inexhaustible inspiration, prosperity, comprehensive support from the authorities and constant popularity among the citizens of the city in the name of preserving the national heritage and historical and cultural heritage of the region.